Xiaomi may no longer be one of the top five smartphone makers in the world, according to the latest numbers from IDC, but that won't be changing the company's plans to expand its business. 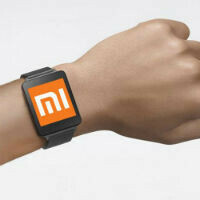 Xiaomi has confirmed that it has plans to release a smartwatch later this year. Unfortunately, there isn't a lot of info beyond that. Liu De, Xiaomi co-founder, vice-president and head of industrial design, admitted at a press conference in Beijing that the company would be releasing its first ever Xiaomi smartwatch. He didn't give a very specific release date but implied that the smartwatch would be released in the second half of 2016. And, that's where the details of the Xiaomi smartwatch end. We still don't know anything about specs, or even what platform the watch will run. Xiaomi uses Android on its devices, but tends to avoid Google services, so it's unclear if Android Wear will be used. The smartwatch won't be the first wearable as the company already has the Xiaomi Band fitness tracker and a Band 2 expected in a couple weeks.